If the reviews out of Toronto are anything to go by, Beautiful Boy will mark Timothee Chalamet's return to Oscar contention after his breakout role in last year's Call Me By Your Name. This time he won't be enjoying a summer fling with Armie Hammer, but struggling to survive a drug addiction that has destroyed his relationship with his father, played by Steve Carell who is also looking for his dramatic return to the awards season. Beautiful Boy is directed by The Broken Circle Breakdown's Felix Van Groeningen, and based on the best-selling memoirs by David and Nic Sheff that chronicle the cycle of addiction and recovery that affected their family for years. The story is largely told from David's perspective, as he watched helplessly as his meth-addicted son suffers relapse after relapse. Stories this deeply personal can be tough to navigate, as most viewers won't be able to relate to the experience. 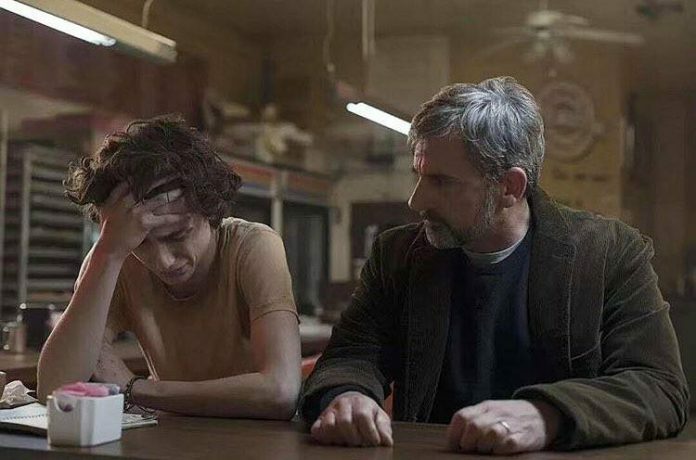 Honesty and integrity are paramount so that viewers can understand the magnitutde of what each character is going through, and by all accounts Carell and Chalamet achieve that. Beautiful Boy hits theaters on October 12th.